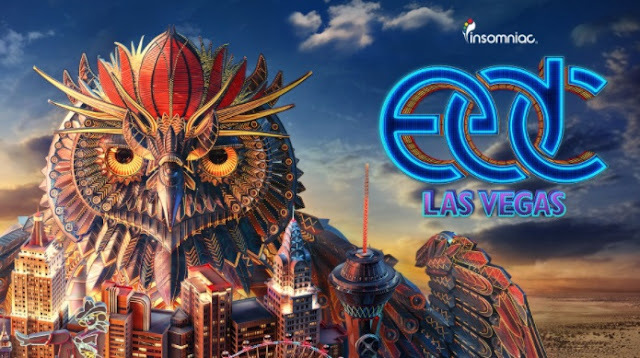 Electric Daisy Carnival Las Vegas | May 18, 2018 to May 20, 2018 - 365 Festivals :: Everyday is a Festival! In case you don’t know which is the biggest and most awaited among all the music fest then here is the answer. It is the Electric Daisy Carnival also known as EDC. One of the most talked fests among its fan and media. If you are into electronic music, then you must have been there or, you are planning to be there. Let’s know more details about this electrifying fest which is driving the world over it. The fest is making all the fans crazy for quite a long time. In fact, it has been two decades since the commencement of this fest. Moreover, this fest did not leave any national boundaries to stop it from reaching to the listeners. The reason is this fest venue could be anywhere in the big cities of the world. The first time this fest occurred in 1997 in the Las Vegas, Nevada. Currently, this show went to many nations worldwide. It includes the UK, Brazil, Japan, India, Puerto Rico and Mexico. Never seen before such fest brings the joy of three days every year. The glamour, fun, madness of this fest is something you can’t afford to miss. The credit of upbringing the EDC fest goes to Insomnia Events for being its founder. When is Electric Daisy Carnival Las Vegas in 2018 ? 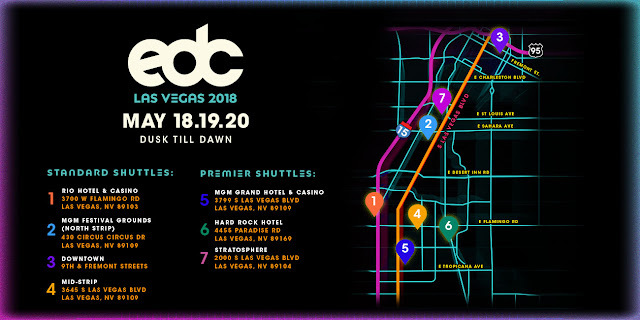 Electric Daisy Carnival Las Vegas is scheduled to be from May 18, 2018 to May 20, 2018. This event is being celebrated Friday which is May 18 to Sunday which is May 20. As per history, the launching of EDC music fest took in the year 1990. The fest continued to 1993 before relaunching in the year 1997. In its first installment, the fest venue mostly sited in the southern California regions. Moreover, the shows by DJ Steve Kool-Aid and Gary Richards are its part. The music fest returned in 1997 with the name EDC. Since then the counting of attendees increased year after year. This fest first time went out of Las Vegas in the year 2008. It went to Colorado in 2008 then Puerto Rico in 2009. Similarly, the fest goes on covering Dallas, Orlando, London, Mexico, New York, New Delhi. Every year there is a new addition to the venue list. How this Electric Daisy Carnival Celebrated ? This fest has been 20 years older with every celebration louder than before. From one day show to three days fest the increase in days shows its success. Many phenomenal acts by music artists and DJs make it an unforgettable music fest until it happens next time. They play all sort of music genre and, the show goes live in 9 stages. Not just this but the various form of dance music also rocked this fest. Among notable artists performance from the past include names like Alison Wonderland, Diplo, Marshmello are a few names. What do people do at Electric Daisy Carnival ? Usually, this fest scheduled in summers when the heat is at its peak. Thus, anybody wishing to enjoy this fest has to prepare well before. It is not just a usual music fest but, it also includes an amusement park and fun rides. Hence, the fest becomes quite a fun frolic for both kids and adult. There is the facility of water refilling at the venue since the days are too hot. Apart from this, the serviceof portable toilets and the food court is also present. While eating at this fest, one makes sure of the hygiene.Fest attendees do not forget to bring their hand sanitiser with them. Much before the arrival of this fest, people start selecting what they are wearing at the fest. Undoubtedly the fashion of this fest has the essence of colorful and fresh.